Stamford, CT, USA- On Sunday June 26th, Stamford High School student Tazio Torregiani secured his first victory in a racecar, at Pittsburgh International Race Complex. 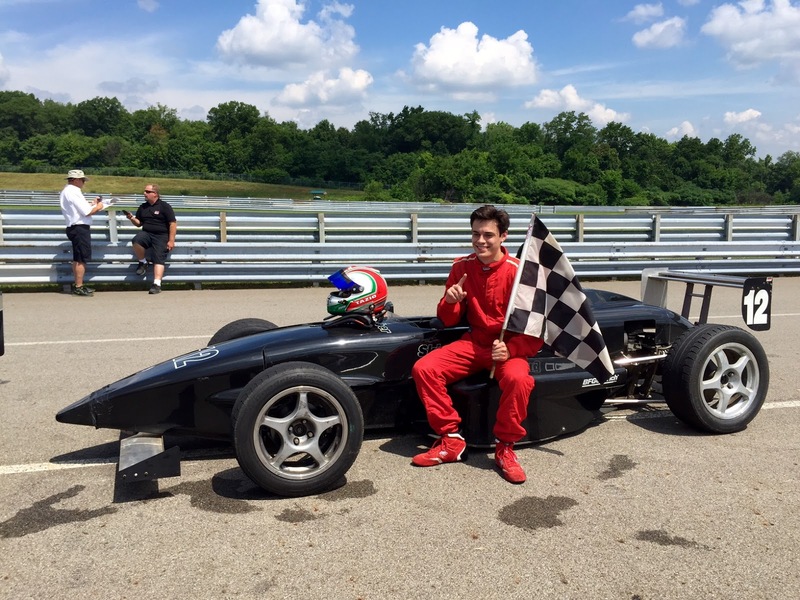 Tazio drove a Formula 2000 to 1st place in only his second round of the 2016 Skip Barber Racing Championship. Saturday saw Tazio finish race 1 in 3rd place on the podium, which gave him a starting position in third on the 2nd row of the grid for race 2. The weather was perfect and Torregiani took off with a great start, immediately passing for second place and pulling away behind the leader, leaving the rest of the field behind. A great battle would unfold between the two drivers for several laps, until Tazio jumped out of the slipstream and passed for the lead at the end of the front straight. On the next lap, driving down the long back straight, Tazio saw in his mirrors the other driver coming pretty hot. “I knew he was right behind me, I knew he would try to pass me, so I braked kind of early and he just completely overshot it and went straight off” commented Tazio after the race. The other driver misjudged the turn and locked up the brakes on the inside, flying right off the track and on to the grass, leaving Tazio alone in the lead cruising to his maiden win. Tazio returned in the pits to a cold ice shower, when the Skip Barber mechanics overturned a large cooler over his head to commemorate his first win. They then sent him off with checkered flag in hand for his victory lap. You can view this race on youtube at the following link: https://youtu.be/eB5U0YFyM4k . The Pittsburgh complex, formerly known as Beaver Run, was very special to Tazio, as this is where he won his first National go-kart race in 2013. Tazio has been racing karts since he was 6 years old, reaching the highest levels in Europe. This year he moved up to single seater open wheel cars, and is currently competing in the 2016 Skip Barber Championship Series. 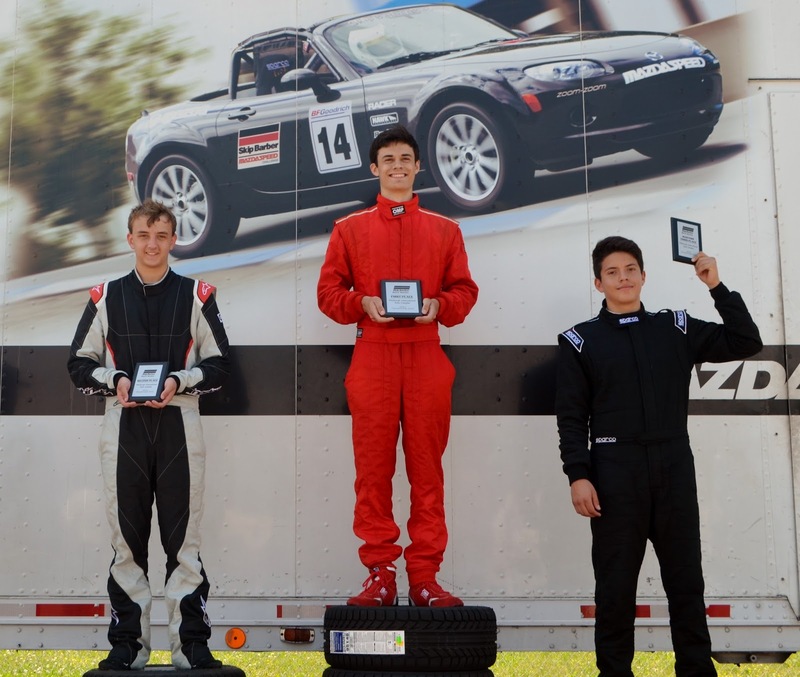 The first round was in May at Road Atlanta, where Tazio climbed the podium in 3rd place in a stellar debut weekend. Torregiani is also a Safe Teen Driver Advocate, and is using his racing to raise awareness with his peers. Tazio is already proving to be competitive in a race car, and definitely deserves the right opportunity to climb the racing ladder.